It’s the end of the month, just in case this escaped your attention somehow, and also Friday, which is Ancient Lore day here at Walkabout Studios (that sounds so much more snazzy than “on this largely ignored blog” or “in this corner of a shared office,” doesn’t it?) And so we are doing double duty today, especially since I took practically no photos during November and certainly nothing worth calling an abstract. It’s been that kind of month. We’re back in Florida, “we” being the imaginary beings who are present for this image as it is taken, or perhaps it means this brown anole (Anolis sagrei) and I, who actually were there on this rainy day back in 2004. The place where I lived had a screened-in porch right at ground level, and in Florida this means lizard territory, primarily these guys and the newly-christened Carolina anoles, formerly green anoles. 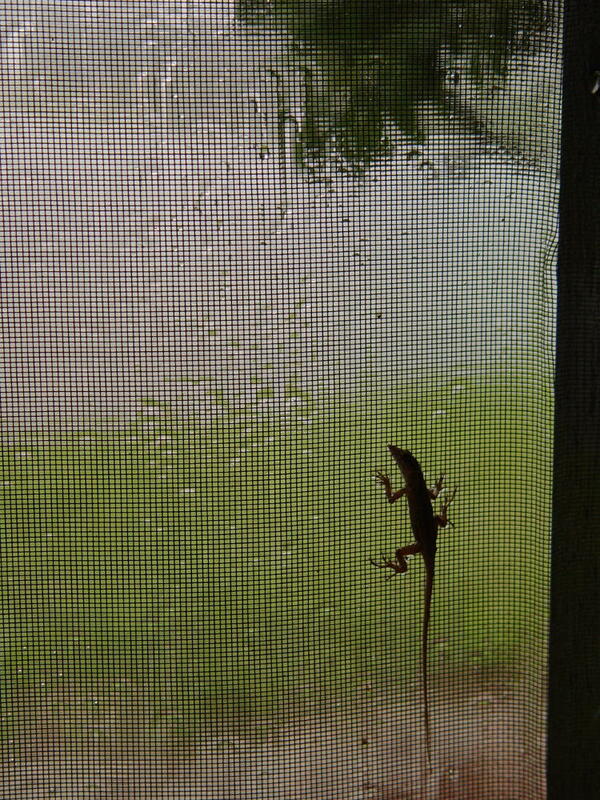 This particular one had gotten in along the edge of the door and was on the inside of the screen, so staying relatively dry during the downpour that had completely saturated the screen – it’s unclear whether the reptile is pleased about this state of affairs or not. But while we’re here, check out the length of those middle toes in the back. Oh, yeah, we’re in the Reptile/Amphibians folder now, in case you’re keeping track. Of course you are – don’t mind me, I’m being silly. Very often, the main door into the apartment remained open while I was home, at least if the temperature permitted it, which meant that such exploring herps could venture into the main living area, where they became fair game to Meerkitten, who was much more of a hunter than Ben or Feralyn. I suspect the rainy conditions of this day kept her well away from the porch so she never found this interloper; at another point in time, I’d watched her spot one on the other side of the screen, and spent a frustrating minute attempting to bite it off of its perch. 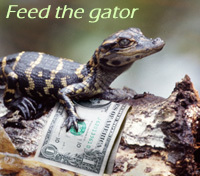 Frustrating to her, I should add – amusing to me, and providing no apparent impact to the anole, who stayed put with only casual glances around at the landscape as the cat on the other side, millimeters away from its belly, tried vainly to bite through the screen.